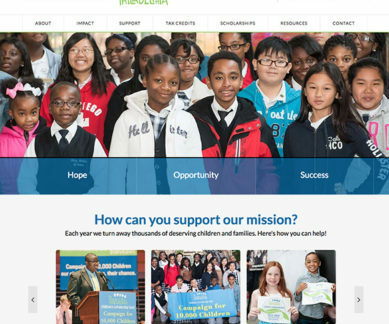 During early discussions with the fine folks at CSFP, it became quickly apparent that while they were mostly looking for a website design upgrade, they were very interested in matching up their own mission in making a difference to children’s lives by having their website actually make a difference for them. Having not had any luck with it previously we promised big things so we had to deliver. With the website updated and looking good our SEO plan was already in place and looking to perform. Perform it did. Keywords started to show up. Traffic showed strong performance increases. While they weren’t previously tracking Goals, we started to see them increase every month and donors started to find them online.